Fiffin Market was a band from San Diego (California) that released several albums. In 2009, the band decided to change their name to Lexington Field and to base their music on their self-penned material. This debut album features punk-pop (“Duke of the Green”, “Up in the Sky”), British style folk punk (“The Shores of Maine”), American folk (“Weather Heart”, “Old Dirt Road”), jigs and reels (“The Toledo Tapper”, “Laurel's Reels”), and Celtic punk (”Holes in Our Hearts”, “Tracy Boys Fight the World”). In other words, an eclectic and attractive album. “Up in the Sky” is a catchy Californian punk number. Imagine something like Farler's Fury without pipes and playing at a slower pace. Good stuff. “Weathered Heart” is another number which is more American than Celtic and that I find quite enjoyable. Fisticuffs influences can be found in “Holes in Our Hearts”. The band decided to release a video of “Tracy Boys Fight the World”, the other upbeat Celtic punk track, but they could have chosen “Holes in Our Hearts” too. Both of them are very good. The right complement to those punk tracks is their original tunes. One could think that “Toledo Tapper” and “Laurel Reels” are traditional tunes. Not only are they original compositions, but they are some of the strongest moments of the album. I feel that many bands record covers of traditional songs, mostly drinking songs, that have been covered by a lot of bands. More traditional instrumental should be included in Celtic punk albums. So, I’m really happy with Lexington Field, since they have recorded a couple of instrumental tracks and, moreover, they have written them. The band is clearly familiar with the Celtic standards and they have re-worked “All for Me Grog” . It is not as raucous as The Fisticuffs “Finnegan’s Wake”, but the idea is the same. Hats-offs boys! The last song is very special. The album is dedicated to Laurel Milne. Laurel was a special 13 year old girl who lost her battle with brain cancer in the fall of 2010. "A Better Place" was written by the guitar player Brian. The band members feel that she was significant influence of their band because of her strength and fight she put up to cancer during the time period when the album was written and they felt appropriate to dedicate it to her. By the way, “Laurel’s Reels” is also dedicated to Laurel Milne. Cami, the fiddler, was a a friend of her, since Laurel was David’s daughter and Cami worked in David’s restaurant . Celtic punk has basically four corners in the USA: Massachusetts (Boston), Illinois (Chicago) ,New York and California. 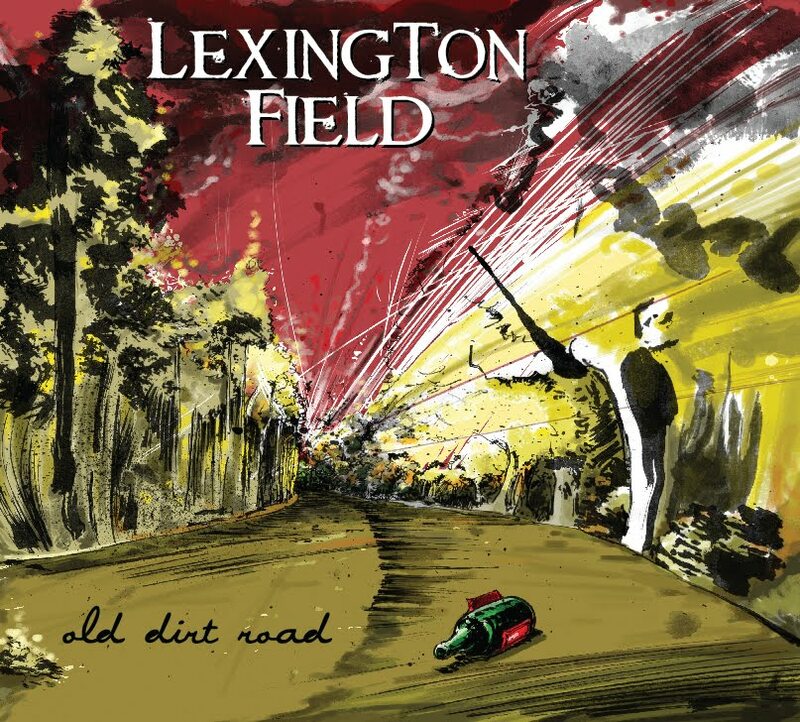 Lexington Field have blended Celtic punk with American folk and Californian punk. Other bands have Californian punk influences in their sound, but Lexington Field have got something different. If The Fisticuffs were from California instead of South Chicago, maybe they would sound like Lexington Field. And, remember, a band with a female fiddler is always worth hearing.